Welcome To Paw Patrol HQ! Paw Patrol Lookout HQ Playset shall we kids bring home the headquarters of the Paw Patrol pups. Identical to within the show, Ryder has referred to as the Paw Patrol to the Lookout headquarters to be told about their mission! Kids can organize and gather the entire crew throughout the tower before they race to the ruff-ruff rescue. As the pups gather at Paw Patrol headquarters, they may be able to ride up the true working elevator. Ride from ground level as much as the highest floor to achieve get right of entry to to the periscope. When danger is close to just give a yelp, the Paw Patrol is here to lend a hand! The Lookout Playset has an actual working periscope! Kids can image they’re looking out Adventure Bay to identify trouble the usage of the true working Periscope! It rotates a full 360-degrees! Sound The Alarm and Slide to the Rescue! Press the enormous Paw Patrol badge to turn on the lighting fixtures and real sound FX straight from the TV show! Then slide into action the usage of the twisty rescue slide that leads right into your Paw Patrol vehicles. It’s the fastest option to rush to the ruff-ruff rescue! 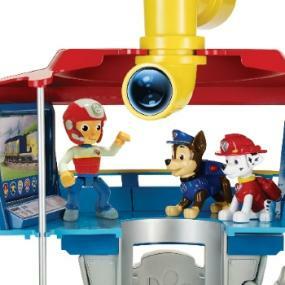 The Lookout Playset includes police pup Chase and his police cruiser. With real working wheels, Chase can save the day by racing to the rescue and marking dangerous hazards! Additional characters such as Ryder and Marshall each and every sold one by one. 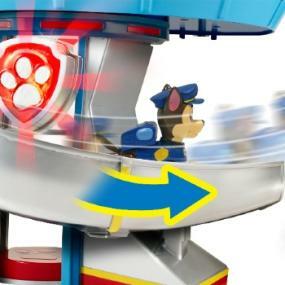 The Paw Patrol Look-Out is without equal HQ with an actual working elevator, lighting fixtures and sounds and wrap around slide! Search Adventure Bay the usage of the true working Periscope! It rotates a full 360-degrees! 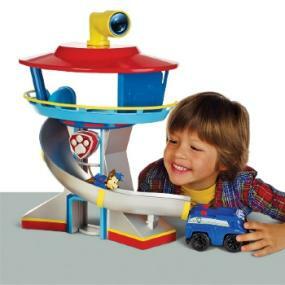 The Look-Out Playset features a Chase action figure and his police SUV! Comes with three button cell batteries and is made for Paw Patrol Fans aged 3-years of age and more. Brand New! We Ship FAST SAFE & SECURE!